I think it's a cool idea to make it 5 instead of 3. And if they raised $1,000 really fast, they'll get those $500 in no time. In before Professor Megaman's obligatory troll comment. It's a cute little tribute. Can't wait to see it on youtube no doubt. Protodude's Megaman Legends 3 Corner. Haha, just kidding. I actually love that you're posting this stuff. It's how I keep up with it, and I don't want the attention to stop. What a pointless waste of money, that does nothing to either help the MML3 cause or in any way to help the less fortunate. Sorry I'm so cynical, but...geez, this is just insane. Calm down. It's just for FUN. It's a community coming together to celebrate. I support this. Do they have a diagram of what the model would look like at either 3/5 feet? If not, they should make one, and Protodude should can paste it here. This sounds like a fun idea! I hope to see pictures of what the model will look like. :D A 5 foot rocket would be cooler. You know, they could probably ask for another thousand bucks and they'd get it. 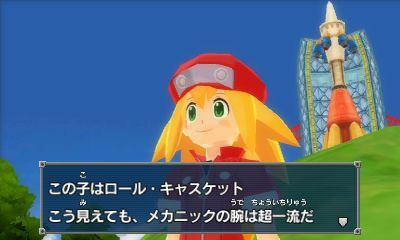 Mega Man Legends fans are pretty darn enthusiastic. What with all the certified needs and approval from the FAA, I think it's too much of a hassle for such a modest, humble project. I'm not so sure of the impact it'll have with Capcom either, but hopefully it sways some hearts. Even so, it's a very cool project and I hope it goes well! I'm just waiting for the rocket lauch to be cancelled, so it can properly parallel L3 Prototype's launch cancellation.